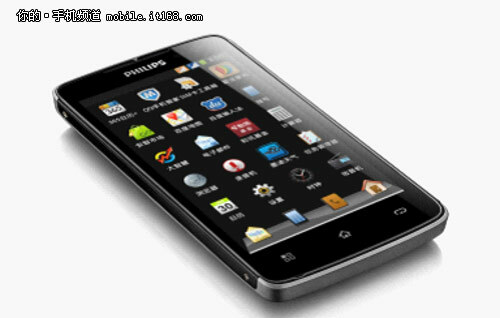 Philips has been keeping under the smartphone radar lately, but now it is back with a bang announcing the W732 Droid. Apparently, the company has heard the prayers of Android fans and their requests for devices with better battery life and that's exactly what the W732 offers. The huge 2,400mAh battery inside is rated to give you 13 hours of continuous talk time or 10.5 hours of web browsing on a single charge. Sporting a 4.3-inch LCD IPS display with a resolution of 480x800 pixels, the Philips W732 runs Android 4.0 ICS on a 1 GHz single-core MediaTek MT6575 processor and has 1GB of RAM. And with a 5MP camera at the back and Wi-Fi, Bluetooth and GPS on board, this Android might turn out to be a pretty decent entry-level offering. It measures the acceptable 126.37 x 67.44 x 12.3 mm, but tips the scales at over 166 grams, which can probably be attributed to the ample juice pack. The Philips also features two SIM slots, both of which support hot-swapping. The Philips W732 will make its debut in China and Russia in the coming weeks and will be available in five colors - black, white, pink, blue and green. Pricing and plans for worldwide availability are yet to be announced. Wow! Simply amazing. Personally I think this phone comes second only to the Razr Maxx. Just hope the GPU is a PowerVGR SGX540 or an Adreno 220.